Patrick Ball with Yezidi boys at an informal camp in Sharya, Iraq. Farhad (not his real name) got the call from ISIS on his personal cell phone just after lunch: we have your sister, and we will give her back if you pay us $6000, plus $1500 for the driver. 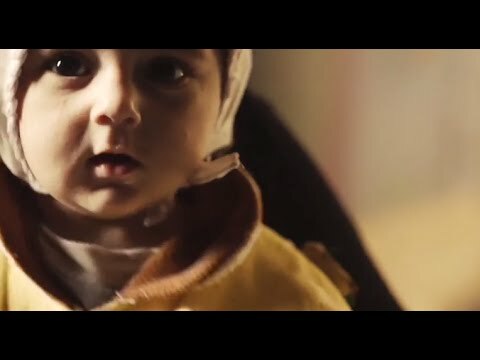 Carrying little more than his phone, a few clothes, some food, and helping his parents, Farhad and his family left his village in the Shingal municipality of Iraq three months ago when the multinational Islamist extremists of ISIS came. 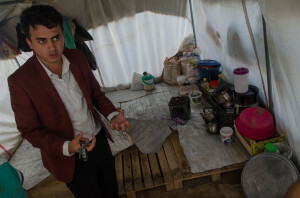 As they fled, his sister had gotten separated and was captured by ISIS. I heard Farhad’s story—and many similar stories—during my mid-November week visiting the Yezidi people in northwestern Iraq. With my colleague Miki Takacs, I met with about a dozen young Yezidi human rights activists who were eager to find ways to respond. I told them stories from other projects I worked on, including the prosecutions of Slobodan Milošević for war crimes in Kosovo, and of Gen. Efraín Ríos Montt for genocide in Guatemala. We talked about what genocide means in the international treaty that defines it, about how to organize data, and most of all, how to secure data using the Martus software. I left them with a stack of textbooks about the international standards for documenting human rights violations, particularly killings. 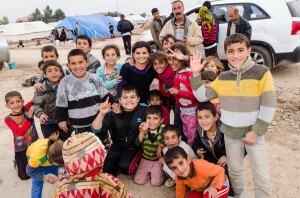 Yezidi children in an internally displaced person (IDP) camp in Sharya, Iraq. In Yezidi tradition, the current violence by ISIS is the seventy-fourth attempt to destroy them as a people. People I spoke to are confident that they will survive this assault on their persons, property, culture, and values as they have survived all the previous attacks. But this time, for the first time, they will respond by appealing to international law. Will the Yezidi people get their day in court? My sense reading popular media since returning is that Americans are both underconcerned and overconcerned about ISIS. In the last section of the post, I outline what I learned. Formal camp with running water and electricity, where tents are built on concrete pads. 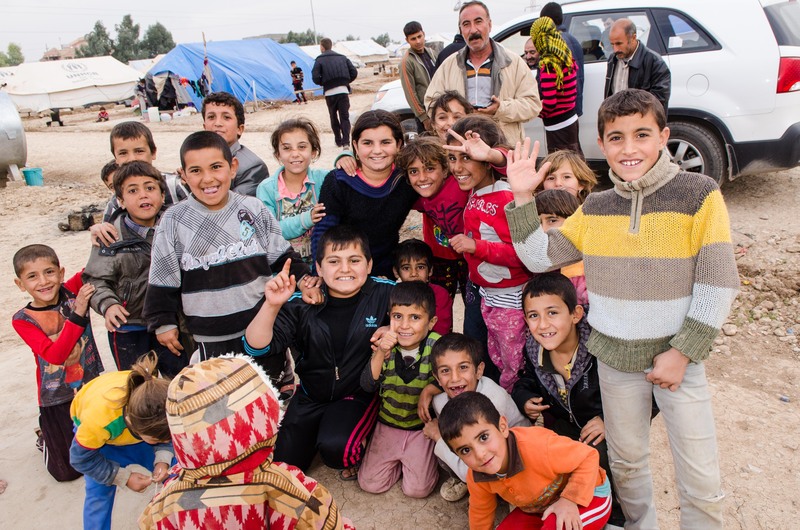 We visited people in the sprawling complex of internally displaced persons (IDP) camps southwest of Duhok, north of Mosul Dam Lake (the dam sits across the Tigris river). 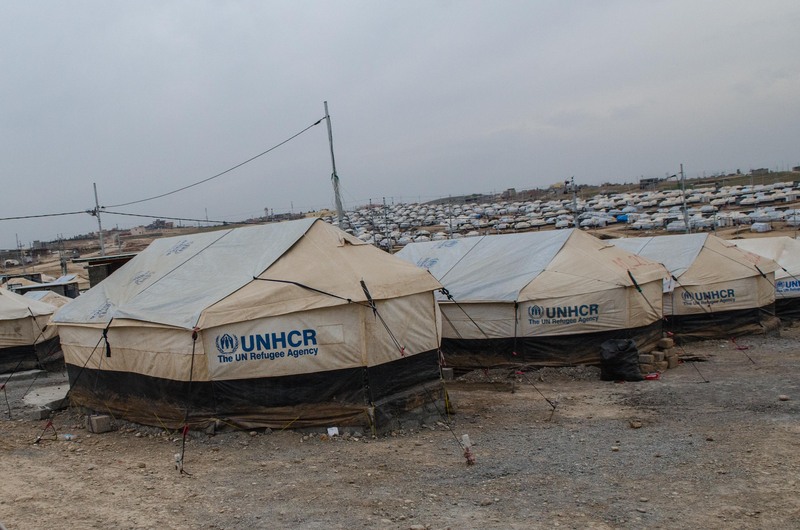 Some 80,000 Yezidi people are housed in this collection of formal and informal camps, and there are several hundreds of thousands more in other camps across northern Iraq. 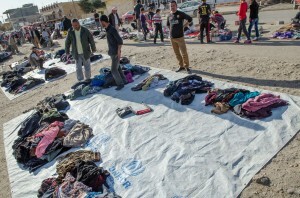 The formal camps are organized by the Iraqi government and the Kurdish regional government; those governments provide running water, electricity, and sanitation, while the UN provides tents, food, and medical supplies. The informal camps, where families essentially squat, have no running water, electricity, or sanitation. An informal camp, which has no running water or electricity. The tents at the formal camps are erected on concrete pads that keep the tent floor elevated above rainwater and mud. In the informal camps, families use shipping palettes to elevate their floors. 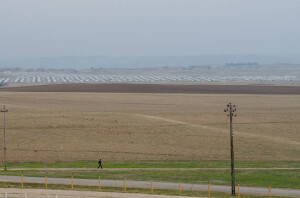 In these same camps, some families pirate electricity and use LED lights (shown in photos). 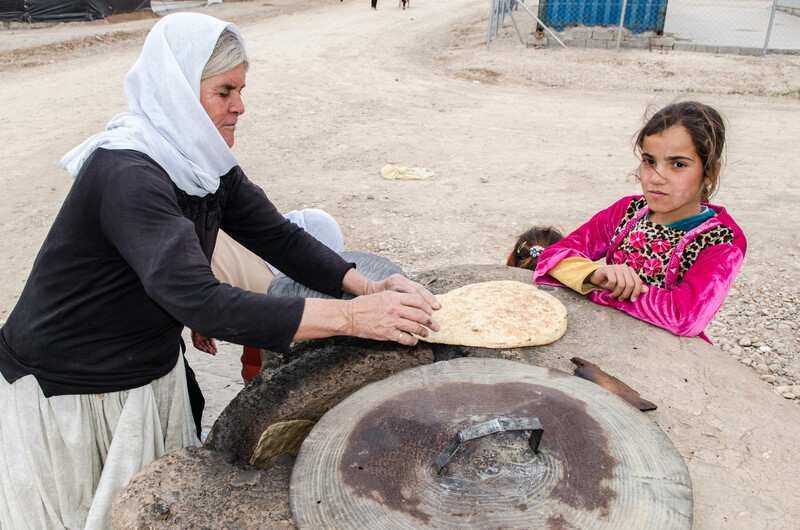 As one of these photos show, some families cook on traditional bread ovens that they have built at the camp. The camps we visited are built on land that was formerly used for farming. Miki Takacs (far right, standing) teaching at the Lalish Center, Sharya Branch. 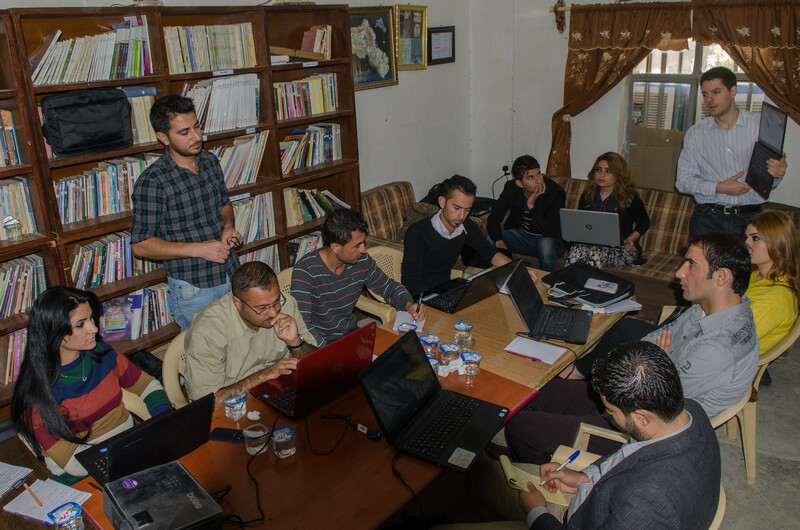 Lalish is the name of a Yezidi holy place, and Lalish Sharya is a cultural organization that is now mobilizing humanitarian assistance and human rights documentation among the community. Miki and I worked with eleven activists, many of whom are themselves displaced from the Shingal region. They brought all my favorite activist characteristics to the table: skepticism, a deep connection to their communities, and a powerful interest in figuring out what can be done. We focused the technical part of the training on what information needs to be collected about each event, and how to store the information safely. The storage problem can be addressed squarely with Martus, the self-encrypting, self-replicating database from the Benetech human rights program. We also shared a wide range of electronic security tools with the students in the class, including gpg and tools for securely deleting files and erasing temporary files in Windows. Graduation in the garden at Lalish Center, Sharya Branch. Discussions with the training participants helped orient and organize their approach to data collection; topics included methods for human rights investigations; database approaches, electronic security, and the logic of moving narrative testimonies into structured data tables. The less-technical part of the training involved me telling stories. I shared experiences from the long process of gathering evidence, framing arguments, creating analysis, and working with prosecutors in war crimes trials. We talked about advocacy campaigns in El Salvador, war crimes trials of officials from the former Yugoslavia, and the genocide trial of General Efraín Ríos Montt in Guatemala last year. I was honored to recount to these young, engaged Yezidi investigators the long, committed struggle of Mayan Ixil people to have their case heard, against very powerful opponents. Of course we explored the appropriate data structures for the information collected, and the information security principles they should consider. Beyond the knowledge we shared, the session’s participants told me that they gained insight into what steps will be needed to bring a war crimes case to trial. I felt their enthusiasm rise through the course of the week, and mine rose with them. A tent with pirated electricity, in an informal camp. 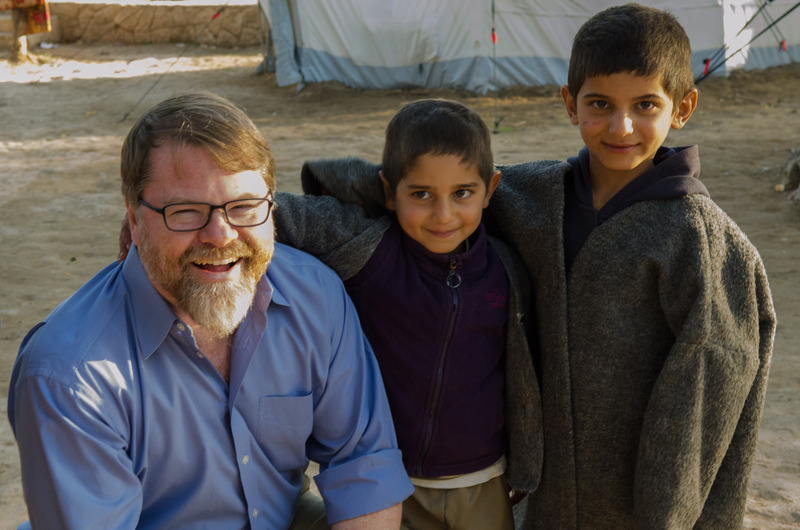 While I was in Iraq, I was reminded of the reasons we do human rights work. Of course there are the big goals, including vindicating the victims’ experiences, establishing historical memory, preparing for criminal trials and other kinds of accountability. But there are individual, personal goals that are at least as important as the big goals, and this trip brought me back in touch with the personal goals. The first of the personal goals is solidarity. I found it deeply moving to sit with people who have recently experienced some the most horrible events that can happen to people, that can be done by people to other people, and to listen to their stories. I believe that that act of listening helps people telling their stories to know that they’re not alone in the world (this has limits, see below). In this work, we risk becoming abstract, focused on the political and military analysis of Syria, Iraq, Turkey, Iran, and ISIS; on the legal and advocacy meaning of human rights evidence and argument; or on the technical impact of data and the statistical patterns we might be able to understand from them. Solidarity helps me to remember the human meaning of the violence that we study. 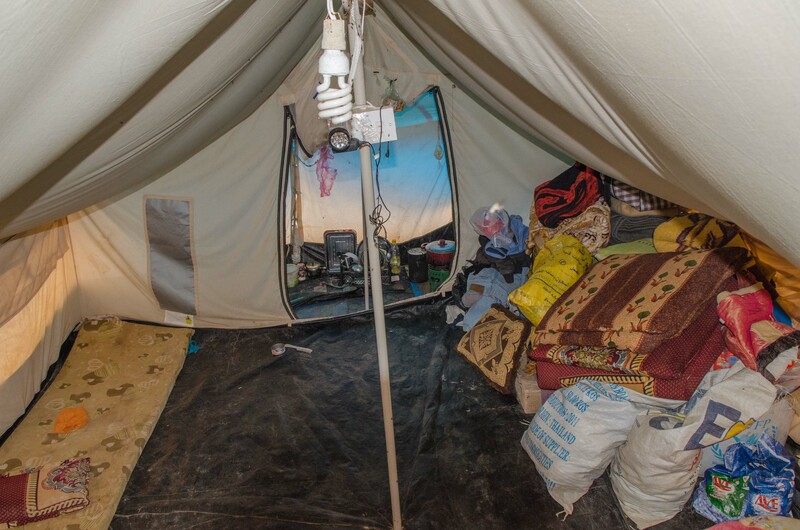 The inside of one family’s tent, where shipping palettes raise the floor above mud and rainwater. The second of the personal goals I remembered last week concerns what social science geeks call agency. As we walked through the IDP camps, several people told me that taking photos isn’t enough. We’ve told our stories before, two women who had escaped from ISIS told me: what are you going to do about it? When I asked if I could take their photos, some people responded by asking me if I could help them get kerosene for cooking, warmer clothes for their children, or an appointment with a doctor. No, I said, I don’t have any aid to offer, I’m just a teacher. As we talked about what I was teaching, they realized that maybe what I brought was more valuable than a few liters of kerosene. By learning the skills I was teaching, people in their community became more effective actors in the conflict, not in the sense of being military combatants, but as people who can act on behalf of their community. They are gathering evidence with which to build arguments that may someday bring justice for this, the seventy-fourth time the Yezidi have been attacked. 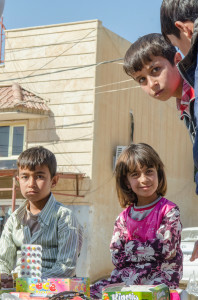 Children in a Yezidi market. We were invited back to repeat our training at a half-dozen more of the Lalish Center offices, and I look forward to building a larger documentation training project with Lalish and our partners at Benetech and FreedObject. This trip has reinspired me. We are helping local activists to do it themselves, and for me, that’s the most satisfying part of being a human rights worker. There’s a Yezidi group organizing support for displaced people, and this is their Facebook page. There’s contact info and a donation process there, it involves transferring directly to the group’s bank account. 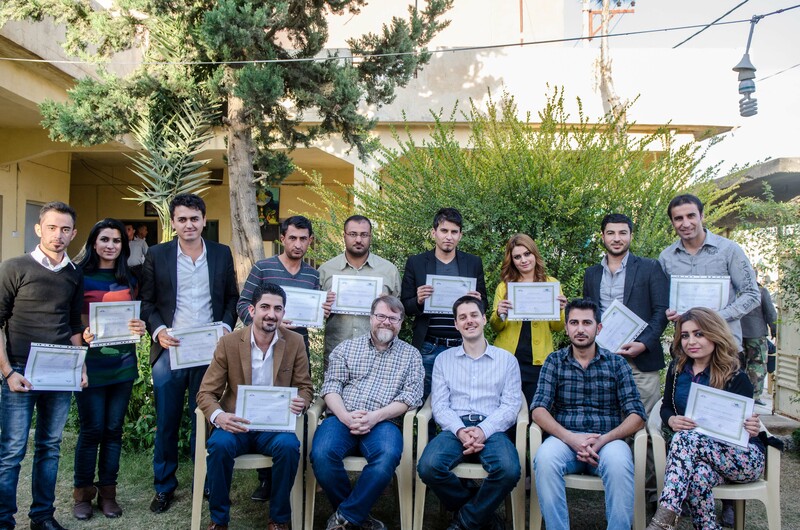 The Kurdistan Refugee Fund is organized in part by one of our translators, and I recommend it. 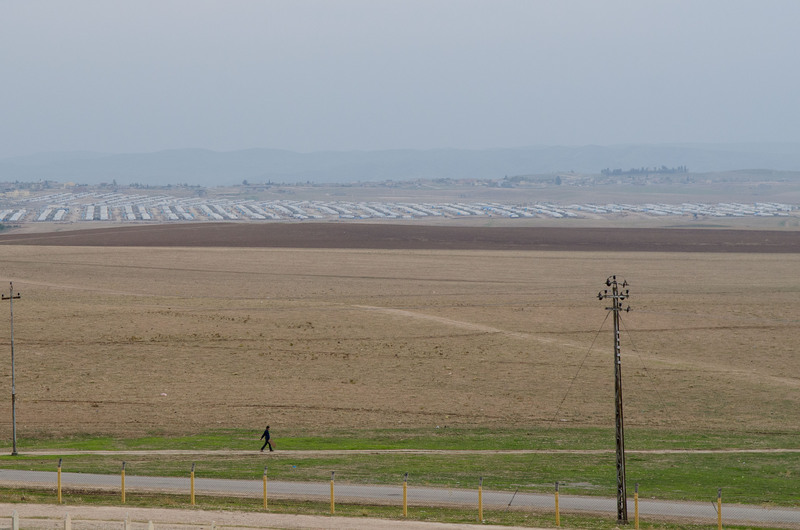 Tents in a formal camp, which was formerly farmland. In the background is Mosul Dam reservoir. Starting in June 2014, the Islamist group calling itself the Islamic State (or ISIS) invaded Iraq from Syria and took control of substantial portions of western Iraq. 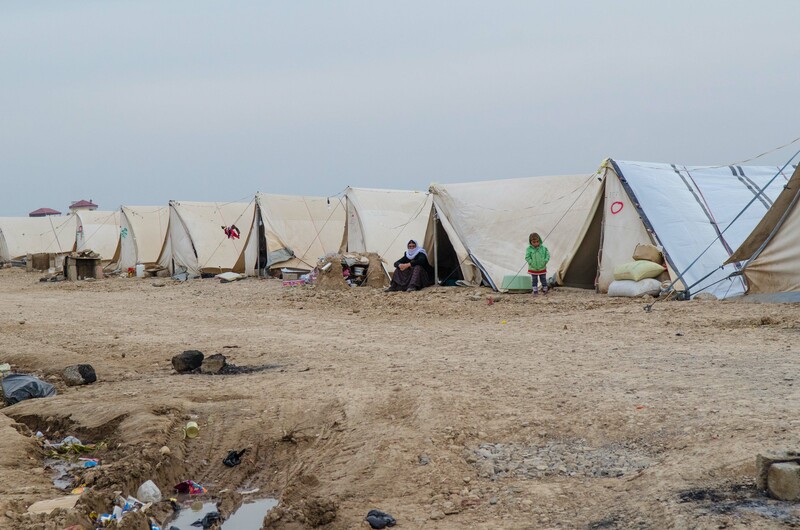 Conditions for people who do not share ISIS’s extreme form of Sunni Islam have been very difficult, in particular for the Yezidi, who were displaced from their villages on 3 August. Below I’ve give some detail, but here’s the tl;dr: ISIS is not an overwhelming military force rolling over big armies; they’re a ragtag bunch of lightly-armed militia guys who take over areas where they are welcome; they only beat the Iraqi army when the army soldiers flee or surrender; they are incredibly brutal to civilians under their control. Last month HRW reported that “The armed group Islamic State is holding hundreds of Yezidi men, women, and children from Iraq captive in formal and makeshift detention facilities in Iraq and Syria.” Fred Abrahams, special advisor, Children’s Rights Division at HRW, said, “We heard shocking stories of forced religious conversions, forced marriage, and even sexual assault and slavery—and some of the victims were children.” According to the New York Times, several thousand Yezidi girls and young women have been kidnapped and enslaved by ISIS. The Middle East Center at the Woodrow Wilson Center recently hosted an event to bring attention to the problem of the enslavement of Yezidi women by ISIS. Trading clothing at a Yezidi market. The ISIS takeover is not strictly a question of military conquest. Many of the Yezidi told me that ISIS was welcomed by the conservative Sunni Arabs in Mosul and surrounding towns. The Arab Sunni, they said, are more worried about the Shia government in Baghdad than they are about ISIS (see this Human Rights Watch report about why Sunnis may have good reason to be worried about the Shia militias and the Shia-dominated Army). Furthermore, many Arab Sunni joined ISIS, which gives ISIS deep connections to the local community and geography, something ISIS fighters from as far abroad as Yemen, Afghanistan, and Egypt patently lacked. It is notable that the only areas ISIS conquered outside of the friendly Arab Sunni region were the villages of the powerless religious minorities, including the Yezidi, the Turkmen Shia, and the Assyrian Christians. In particular, ISIS made very little progress into Kurdish areas. A traditional bread oven built by Yezidis in a camp near Sharya. 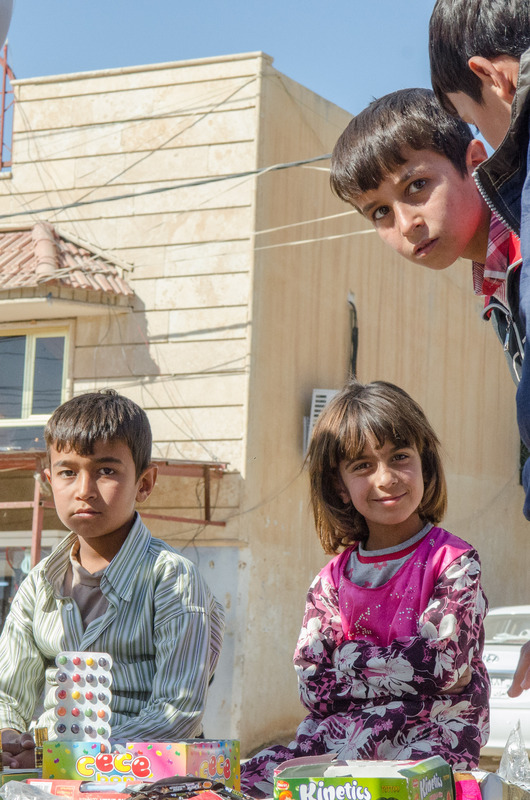 There have been developments in the military situation since the displacement of the Yezidi on 3 August that offer hope to these besieged people. Everyone—and I mean every single one of the several dozen conversations I had about this—thanked me (because I’m an American, I suppose) for the Coalition airstrikes against ISIS and the weapons sent to the Kurdish peshmerga. 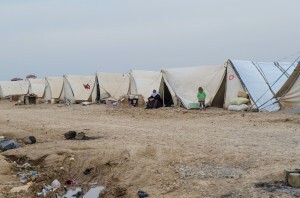 There are still about 15,000 Yezidi people stranded on Shingal Mountain. Coalition airstrikes help keep open their thin and dangerous escape route west through Syria. The trapped Yezidis are being supplied by Iraqi Army helicopter convoys with humanitarian assistance and weapons for the peshmerga defending them. The Coalition airstrikes prevent ISIS from using armored vehicles or other heavy weapons to attack the Yezidi or interfere with the helicopter convoys. Without this support, my Yezidi interlocutors assured me, they would be quickly overrun by ISIS. ISIS’s military situation may be more precarious than it seems. 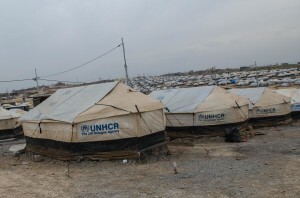 Nonetheless, the people in the displaced persons camps are preparing for a long wait through the winter, and potentially, for years while the conflict drags on. Like all refugee camps I’ve visited, these camps have poor sanitation, only the most marginal protection against the weather, and a palpable sense of fear and deep concern about the future. [CC BY-NC-SA, including images] All images by HRDAG 2014. Patrick Ball, PhD, is Executive Director of Human Rights Analysis Data Group and has spent more than twenty years conducting quantitative analysis for truth commissions, non-governmental organizations, international criminal tribunals, and United Nations missions in El Salvador, Ethiopia, Guatemala, Haiti, South Africa, Chad, Sri Lanka, East Timor, Sierra Leone, South Africa, Kosovo, Liberia, Perú, Colombia, the Democratic Republic of Congo, and Syria.